At Aspirinox Alloys Inc, we are highly engaged in offering high-end Nickel 201 / 201 Sheets & Plates in India. Nickel 201 Sheets are non-ferrous metals that offer amazing strength and toughness, as well as excellent corrosion resistance at high-temperature applications. Nickel 201 (UNS N02201) Resistance to neutral and alkaline salt solutions also have Good thermal, electrical and magnetostrictive properties. Also, offers excellent corrosion resistance to distilled and natural waters. Our wide-ranging inventory of Nickel 201 Plates is available in different sizes and specifications in order to meet all need of various industries such as synthetic fiber production, aerospace, food processing, and chemical processing and in processes where sodium hydroxide or fluorine is used. 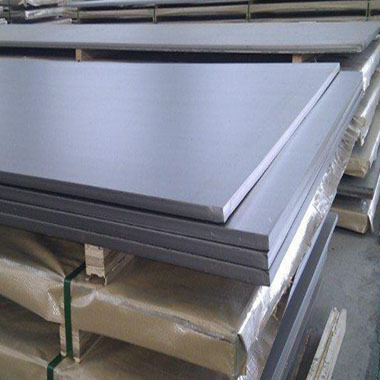 As renowned Manufacturer, Exporter, Stockholder and Supplier, we offer these Alloy 201 Sheets as per the international standards. For Example, ASTM, ASME and API etc. We design and develop Alloy 201 Plates that are capable of offering maximum utility even under extreme usage. Kindly do call us or send an enquiry to order our high end 201 Nickel Alloy Sheets and Plates. Specifications for Nickel 201 Sheets & Plates. If any specification is not mentioned here, please use the contact button for quick quote. Contact us or click on the below button to request a latest Nickel 201 Sheets & Plates price list. Aspirinox Alloys INC is dedicated to providing the world-class Nickel 201 Sheets & Plates that cater to all your demands at very competitive rates.